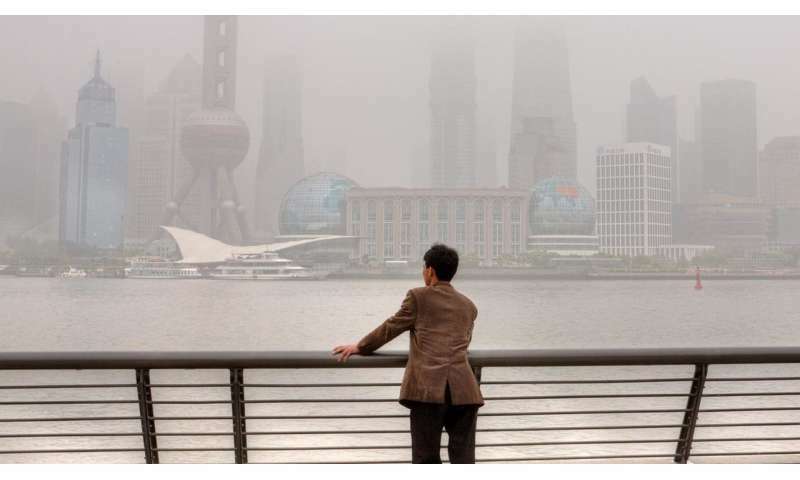 Fossil fuel-driven particulate air pollution cuts global average life expectancy by 1.8 years per person, according to a new pollution index and accompanying report produced by the Energy Policy Institute at the University of Chicago. The Air Quality Life Index establishes particulate pollution as the single greatest threat to human health globally, with its effect on life expectancy exceeding that of devastating communicable diseases such as tuberculosis and HIV/AIDS, behavioral killers like cigarette smoking, and even war. Critically, the AQLI reports these results in tangible terms that are relatable for most people. "Around the world today, people are breathing air that represents a serious risk to their health. But the way this risk is communicated is very often opaque and confusing, translating air pollution concentrations into colors, like red, brown, orange and green. What those colors mean for people's well-being has always been unclear," said Michael Greenstone, the Milton Friedman Professor in Economics and director of EPIC. Greenstone also noted: "My colleagues and I developed the AQLI, where the 'L' stands for 'life,' to address these shortcomings. It takes particulate air pollution concentrations and converts them into perhaps the most important metric that exists: life expectancy." The AQLI is based on a pair of peer-reviewed studies co-authored by Greenstone that quantify the causal relationship between long-term human exposure to particulate pollution and life expectancy. The results from these studies are then combined with hyper-localized, global particulate matter measurements, yielding unprecedented insight into the true cost of air pollution in communities around the world. The index also illustrates how air pollution policies can increase life expectancy when they meet the World Health Organization's guideline for what is considered a safe level of exposure, existing national air quality standards or user-defined air quality levels. This information can help to inform local communities and policymakers about the importance of air pollution policies in very concrete terms. Seventy-five percent of the global population, or 5.5 billion people, live in areas where particulate pollution exceeds the WHO guideline. The AQLI reveals that India and China, which make up 36 percent of the world's population, account for 73 percent of all years of life lost due to particulate pollution. On average, people in India would live 4.3 years longer if their country met the WHO guideline—expanding the average life expectancy at birth there from 69 to 73 years. In the United States, about a third of the population lives in areas not in compliance with the WHO guideline. Those living in the country's most polluted counties could expect to live up to one year longer if pollution met the WHO guideline. "While people can stop smoking and take steps to protect themselves from diseases, there is little they can individually do to protect themselves from the air they breathe," Greenstone said. "The AQLI tells citizens and policymakers how particulate pollution is affecting them and their communities and reveals the benefits of policies to reduce particulate pollution." The index stands apart from most work in this space in a few important respects. Previous efforts to summarize the health effects of air pollution have relied on associational studies that are prone to confounding the effects of air pollution with other determinants of human health. They also relied on extrapolations of associational evidence from the low levels in the United States or on extrapolations from cigarette studies. In contrast, the AQLI's underlying research allows it to isolate the effect of air pollution from other factors that impact health and it does so based on pollution data at the very high concentrations that prevail in many parts of Asia today. 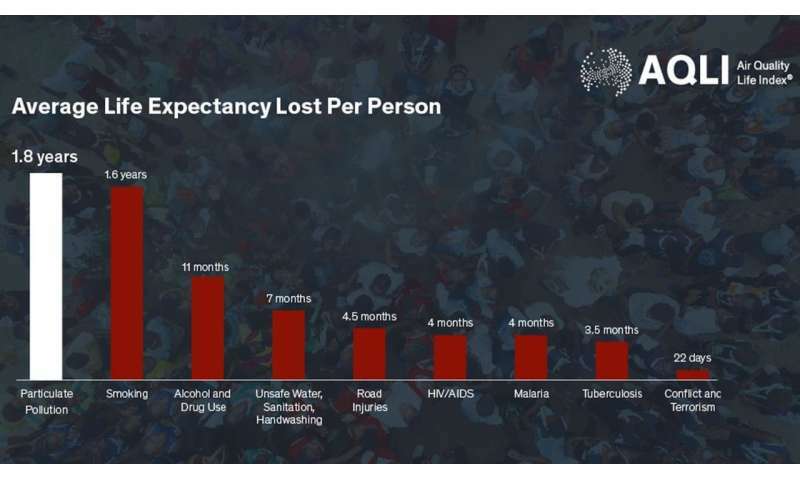 Further, the AQLI delivers estimates of the loss of life expectancy for the average person, while other approaches report the number of people who die prematurely, leaving unanswered how much their life was cut short or if they were more predisposed to be impacted from it (e.g. elderly or sick). To further explain the basis for the AQLI and showcase some of its top-level results, EPIC compiled a report that provides more information about particulate pollution, where it comes from and how it impacts the body.